Enjoy the last rays of summer with a discount! With a busy summer drawing to an end, now is the perfect time to grab those last minute deals and enjoy a well deserved getaway! Why not celebrate the kids going back to school with an end of summer break? With our ever growing range of carefully-selected properties, let the hardest decision you make today be choosing the perfect holiday home for you and your guests. Whether you are an extended family of 14 or a couple looking for a quiet getaway, be sure to checkout our end of summer breaks and special offers. Little Friston Lodge – Pictured above, this idyllic countryside lodge provides the perfect getaway for true tranquility. 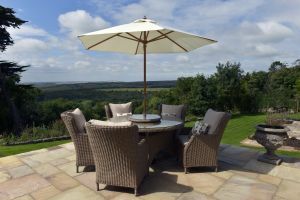 Set on the hills of Friston this holiday home offers breathtaking views and forestry walks through and over the entire Sussex Downs. The lodge consists of 2 bedrooms; a master ensuite and a further double/twin room. There is also a further family shower room for ease and comfort. This holiday home and all that it offers really needs to be seen to be appreciated and is an ideal base for two couples or a family, who recognise that there are few finer things in life than fresh air, invigorating open space and a luxury base from which to explore! Click here for photos, bookings and availability. 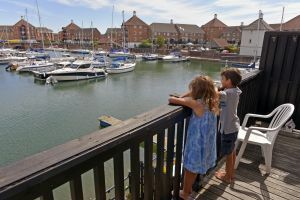 Sail Away – This comfortable waterside home is a townhouse set in Sovereign Harbour which offers a peaceful family getaway. With its private patio next to and over-looking an inner quay, it sets the perfect scene for your morning coffee as you watch the sail boats and cruisers come in. This property offers 3 bedrooms; a master ensuite and a room with two bunks (even suitable for adults) and a further single room. It also boasts an additional family bathroom. With an extra pull-out bed the house sleeps up to 6. This well located and well equipped property is soon to be a guest favourite. End of summer breaks with a discount! Fairways – a super family home with a swimming pool, overlooking a private garden and golf course – £100 off per week in September – now only £1495. Number 95 – a spacious home with 8 bedrooms to sleep up to 19 in the heart of Eastbourne and close to the pier and beach – £100 off per week in September – 3 or 4 nights for just £1295 or a week for £1695. Chauffeurs Apartment – a tranquil hideaway for couples in the genteel Meads area of Eastbourne, close to the beach and South Downs National Park – now with 10% off in September so a week for only £427.50! Pier Walk Apartment – Wonderful sea views and an ideal placement for those who enjoy being close to all the action, with the pier practically on your doorstep. 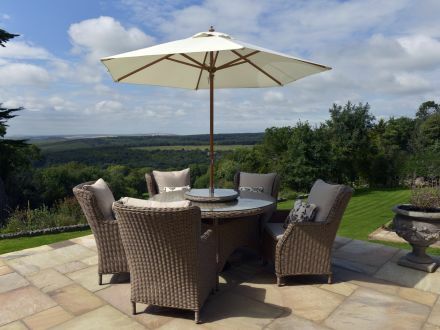 Enjoy 10% off so a week is yours for only £585, for up to 4 people.